When it comes to weddings, there are so many traditions that people think they have to follow. The truth is some traditions are meant to be broken to make way for new ones! We believe in letting your wedding reflect who you are. We believe that these seven wedding traditions can (and even should) be broken. Because in the end, you should be happy with how your wedding turns out to be, regardless of what everyone else follows. The classic white gown, heels, and diamond ring may be the first thing you think of when it comes to wedding attire. We see it portrayed everywhere from the movies to wedding magazines. However, this look isn’t for everyone! Maybe you love the idea of a non-white dress with sandals and a sapphire ring (even Princess Kate rocks this elegant stone)! There are so many ways to make these things your own, and tradition shouldn’t dictate them. 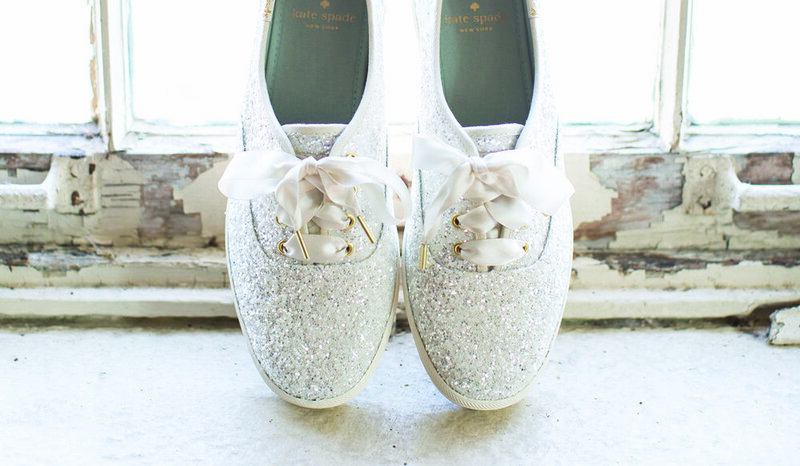 From white Kate Spade Keds shoes to unique rings and dresses, we’ve seen some amazing alternatives to wedding attire that look even better because they truly fit the bride’s style! You want guest saying “That’s so her!” Whatever it is you prefer, don’t let the traditional ideas affect what you truly want to wear. These both go way back in time! The garter toss dates back to when the bride and groom would have to show proof they consummated their marriage, so family and friends would go into the bedroom with the couple. Because the bride’s undergarments were considered good luck and proof of the consummation, it would get a little frantic. Instead, the groom began tossing the garter out instead as the “proof” and witnesses could take that instead. Same goes for the bouquet toss! The crowd sometimes got out of hand trying to get pieces of the brides “lucky” dress and items after the ceremony, so they began tossing the bouquet to keep people at a distance. How weird! If you’re thinking about skipping over the bouquet and garter toss, couples will often replace it with an anniversary dance. The anniversary dance is when the DJ asks all married couples to come to the dance floor and will start announcing how many years a couple has been married until the last (and longest married) couple is left. This is a sweet idea regardless if you keep or break tradition! Your bridesmaids do NOT have to have matching dresses! I’ve seen more and more brides breaking this one, and it honestly looks so cool if you’re wanting to do it! Often, whether you have a large or small wedding party, it can be hard to find a dress that every bridesmaid would like to wear (and most times it never happens, so don’t worry about pleasing everyone). A great alternative is putting bridesmaids in different dresses, either in the same color or coordinating colors. Not only does this make a unique look, but it also lets bridesmaids wear a dress they may feel more confident in! Just because you’re a bride, doesn’t mean your friends are all women! Your best friend may be a guy or you may want to incorporate a guy friend who’s been there for you like you would a bridesmaid. That’s totally okay! 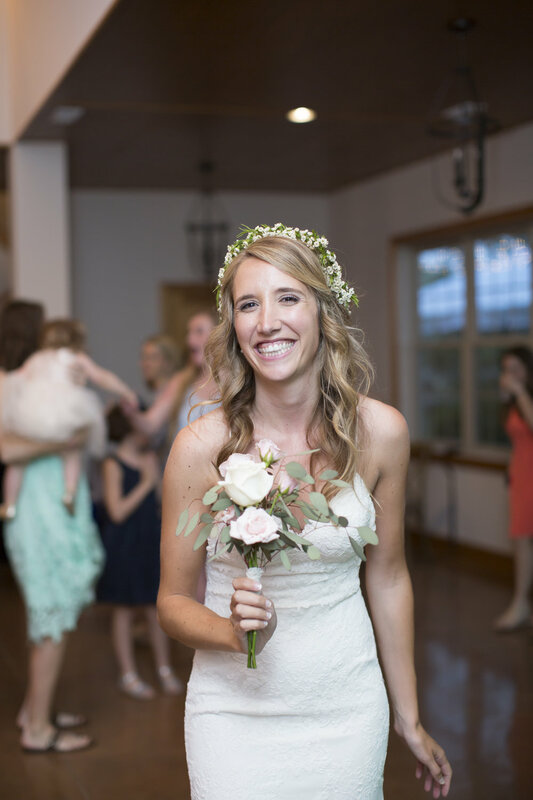 There are many brides who end up having a “man of honor” or “bridesmen.” The same goes for the groom having a “best woman” or “groomsmaids.” If they’re important to you, it shouldn’t matter who they are, but that they are able to be a part of your day! You do not have to wait until the aisle to see each other! Last week we posted about the pros and cons of a first look. Many couples find it calming to see each other before the big moment, spending some time without anyone else around them. Often, it’s the only time they can have alone to cherish the day without onlookers and family surrounding them. I always love to step back, put on my long lens, and give them their moment together. You don't have to take pictures in a park in front of blooms etc. Often, wedding photos are always depicted in an outdoor setting with beautiful flowers and scenery. However, I’ve shot some really gorgeous wedding photos with an urban grunge/industrial setting too! It’s all about playing with what you have, and settings like this can make some unique shots that you can’t do in a park. Your wedding photos never have to be what people say they should be, in fact, they may turn out even cooler going with something different! You do not have to have a traditional cake for dessert! Nowadays, there are so many delicious desserts and dessert bars to have at your wedding that a cake may just seem too boring! 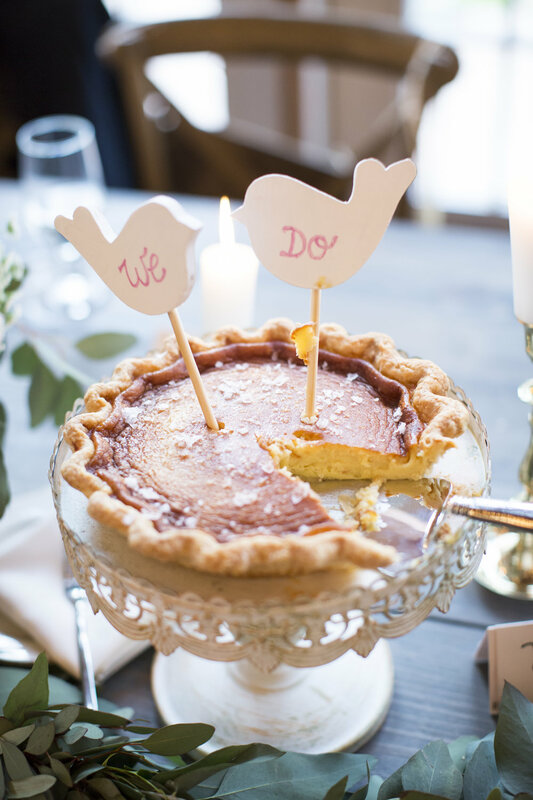 From cupcakes and pies replacing cake tables to dessert bars that that let you build your own s’mores and ice cream cones, there are too many amazing options out there. Don’t worry about people asking where the cake is, they’ll be too busy eating the other delicious treats instead!